The last stop in my Memorial Day road trip is Kennebec Cemetery. 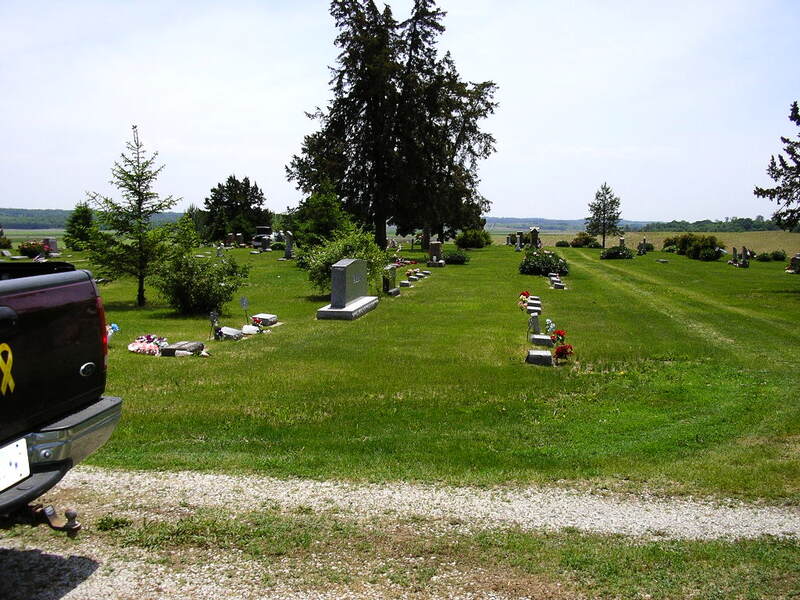 It is a rather plain, mostly unused cemetery serving Kennebec Township. 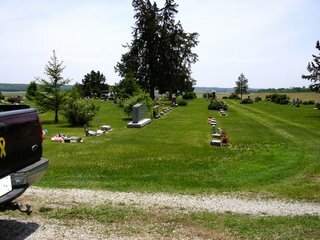 This is Castana's cemetery where my mother and her brother grew up. I never met my Uncle "Bud" (Alvin was his real name) because he was killed in WWII on D-Day. There is a marble monument at the entrance that has the names of Castana's native sons who died in WWII listed on it. It's a short list, but Alvin Moss is on it. I have no family buried here either. My reason for stopping is the four lonely graves cleaaaaar down the hill there. The ones with nothing on them. Decorations, I mean. The person's name, date of birth and date of death are listed only. These are the people who died in our nursing home with no family to bury them so mom did. She bought the plots at Kennebec, the coffins they lie in and the headstones that mark their final resting place. I imagine the State gave her a couple hundred bucks to pay towards the funerals and Russ Pearson might even have given her a break on the coffins, but mom had the heart to give them a "proper" burial. I remember each and every one. So, I stop and pay my respects.